When there is a new baby in the house, you mark milestones. Whether is it the first time he rolls over or mutters a discernible word, mommies and daddies mark it down. And in today’s world, we post it online, on some form of social media, for the whole world to enjoy with us. We have a new baby. She’s 15 weeks old and already potty trained. Ornery and feisty in the morning, she is the perfect lap dog in the evening when we’re all on the sofa ready to read and relax. Yes, she’s a fur baby, another goldendoodle, and she is the perfect compliment to our 4 ½ year doodle Winston. Maggie is her name and we are smitten. We are marking her milestones, her shot schedule, waiting impatiently for the day we can safely take her for a walk around the neighborhood, tracking her weight gain, and teaching her manners. It’s fun marking those milestones! As I mentioned, Maggie has a big brother, Winston. While Maggie is very much her own dog, she looks up to her older and wiser doodle. While they play together something fierce and while I love watching them romp, I most enjoy watching Winston guide Maggie, showing her the ropes, minding his manners so that she learns hers. I caught this photo of them together the other day. You get the idea. I wanted to share this photo with you for two other reasons. Over the past 5 years, we’ve held approximately 250 prayer calls to pray over our tea, over our business, over our customers, over the people we are serving in Africa, over the people in Africa who are providing medical and spiritual care at our partner clinics, over each other. We have consistently held up the company before the Lord and asked him to heal, redeem, direct, guide, provide wisdom, to multiply efforts and monies and supplies, to give us strength to keep walking forward, faith to take the next step, and hope for an even bolder, broader, and beautiful future wherein we are able to serve more and more people. 250 calls. Yes, we’re like puppies looking up to the big dog to see what’s next! And he has rewarded that faithfulness on our part, offering the next steps when the time was right, bringing new customers and directions, and multiplying the funding we are able to provide to CompassioNow. And the number of prayers He has answered in those 5 years is astonishing. With God as our CEO, we have built a thriving business, we have changed lives here in the US and in Africa, and we have brought Him continual glory. That’s not to mention the new connections and the healing and the stronger relationships and the safe travel and the beneficial exchange rates and shipping costs. The list of success and answered prayer goes on and on! On February 4, 2006, CompassioNow was awarded its non-profit tax status, making it a legal and legit organization. Ed and Wendy Bjurstrom recently tabulated what they have been able to provide monetarily to the clinics in Africa over the last 10 years. They discovered that it was over $1 million! Another milestone… $1 million and a 10 year anniversary! Woo hoo! But that hardly shows the full impact of those 10 years. It doesn’t tell the stories of the lives changed, the clinics that have been built, the new buildings and medical wings, the staff and supplies, the men, women, and children who have turned to one of our partner clinics as a last resort, after the witch doctor didn’t work, after the government hospital sent them away without proper treatment, after they’ve come to the end of their ropes, desperate for relief and healing. It doesn’t tell the stories of the people tested early for AIDS and who began early medical intervention, the lives saved from parasites, which could have been lost had it not been for a basic antibiotic; the children who have been given life through urgent medical care and/or pre and perinatal care of their mothers; the home-bound who have community health care providers making regular visits; and the children who have been granted eyesight from a donated pair of eyeglasses. This doesn’t tell the story of medical training and supplies, of medicine shelves stocked, and birthing beds delivered, of bicycle ambulances, and fixed airplanes to transport medical staff and those who need more urgent medical care. Sister Dlimani, Community Caregivers, Dawn’s daughter Karin, and Stina take time for tea. Some of the happy faces coming to day care. I’m a 1000 HIlls Kid — it is so good to belong! 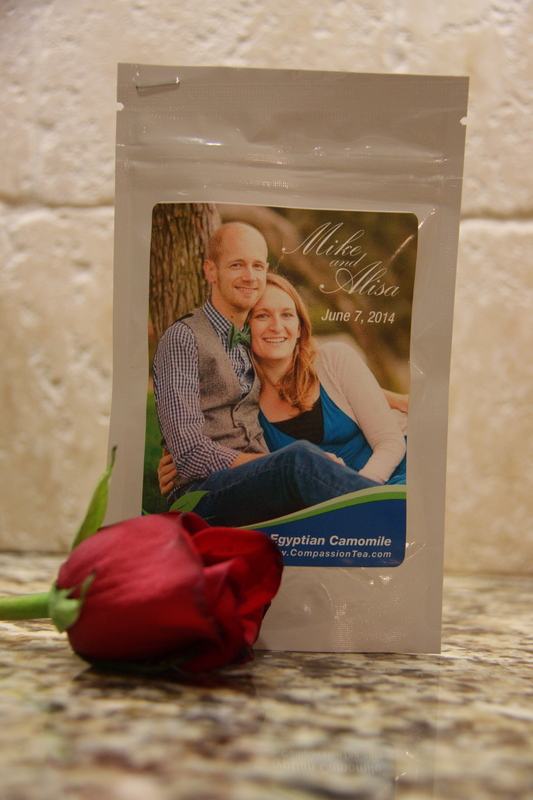 When Compassion Tea Company began in 2011, its founders planned a course for a company that would provide a steady income for CompassioNow so that quality healthcare in rural parts of Africa could be consistent and growing. 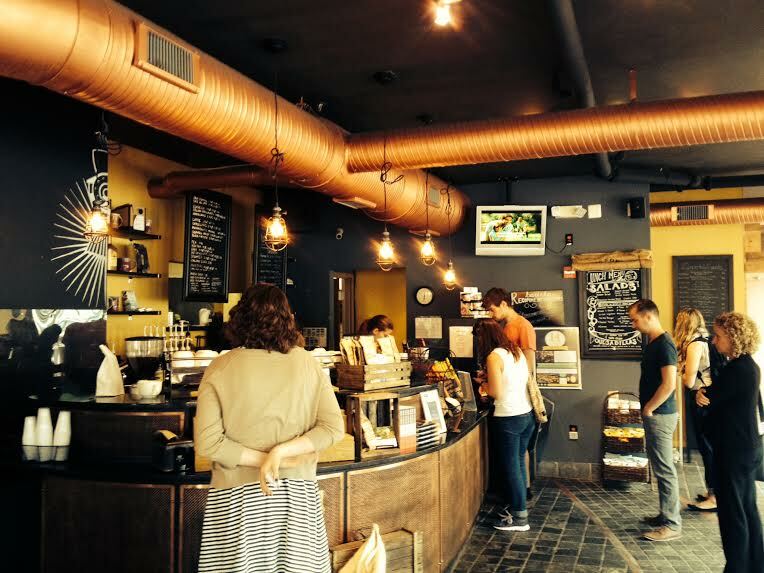 At inception, the company appeared to be solely a tea membership venture. We watched as the club grew in member numbers thanks to our friends, families, and opportunities at church events, craft shows, Christmas teas, and holiday bazaars. At heart, we remain a small company dedicated to its members. But God, ever interested in the steps, has guided our company toward new partnerships, ones that reach more people and, we’re hopeful, will make an even larger impact for Africa. It began with an opportunity to supply tea at Valley Community Church, Pleasanton, CA, for their evening worship service. 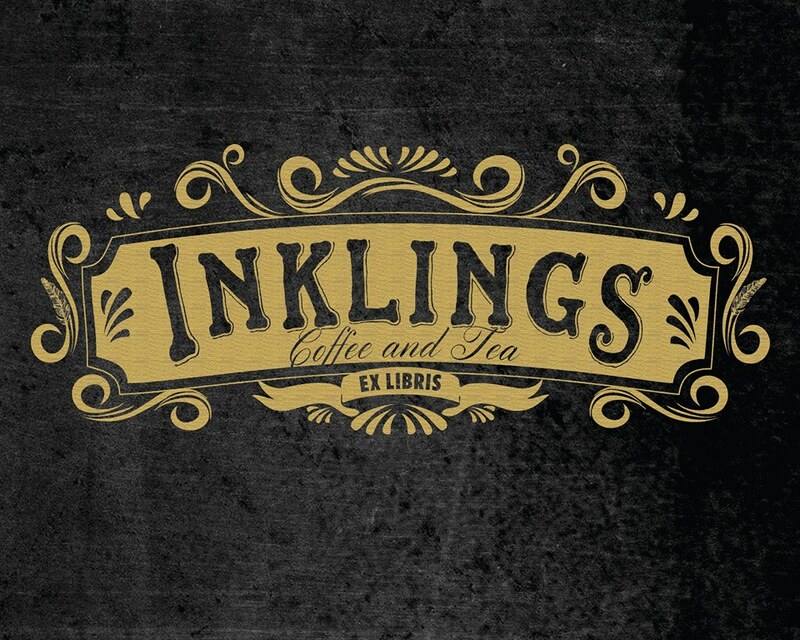 This connection grew into our supplying the tea for their burgeoning tea and coffee shop, Inklings. Shortly thereafter, we approached Barnstormers Coffee Shop at Lighthouse Christian Supply in Dublin, CA, about carrying our tea. 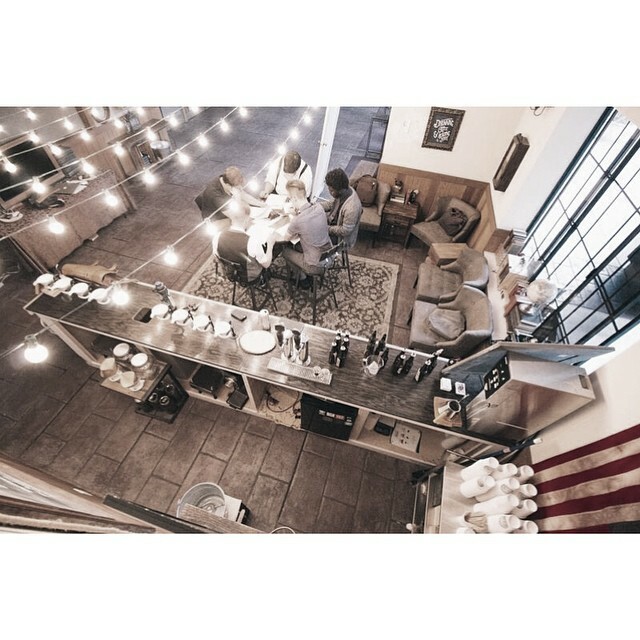 Friendships led us to Tifa Chocolate and Gelato in Agoura Hills, CA. 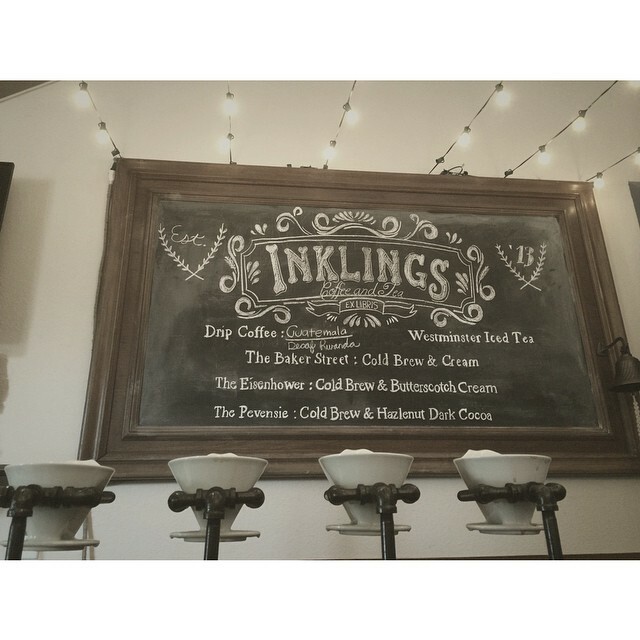 Word of mouth led us to Brew Unto Others in Lamar, CO. And Homeboy Industries of Los Angelos, CA, serves our tea in their Homegirl Cafe. Some may call it karma or kismet, but we call it a “divine appointment” that CompassioNow founder and Compassion Tea director Wendy Bjurstrom found herself with a $35 plane ticket to Washington DC earlier this fall. 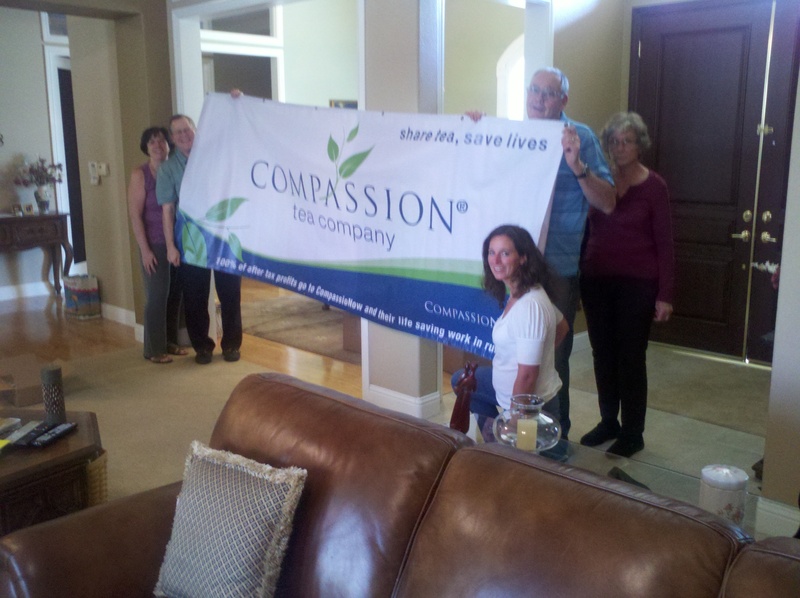 While in DC, Wendy met with Ebenezers staff and introduced them to the work of CompassioNow and to Compassion Tea. Nor did we find it at all odd or coincidental that Lee and Anne Kennedy, Compassion Tea directors and CompassioNow board members, were at that very time reading The Circle Maker, by Mark Batterson, pastor of National Community Church, the church behind Ebenezers. 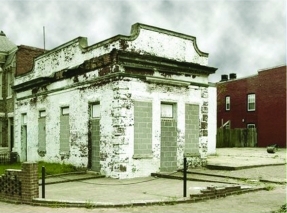 The term “ebenezer” means “a monumental stone set up to signify the great help that God granted the one raising the stone.” As the stones that built Ebenezers Coffeehouse were renewed, there had to be a moment of recognition among the National Community Church community that they were setting up a monument. We see this new partnership as another way God is helping us and we are pleased to set up this monumental stone. What exciting opportunities God is opening up for us! As God establishes our steps to help bring “essential healthcare to the world’s least served,” we are humbled and amazed and thrilled. 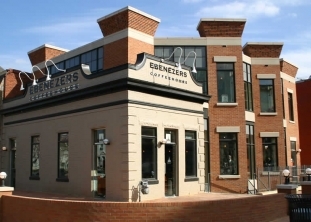 If you are ever on Capitol Hill, stop in Ebenezers! 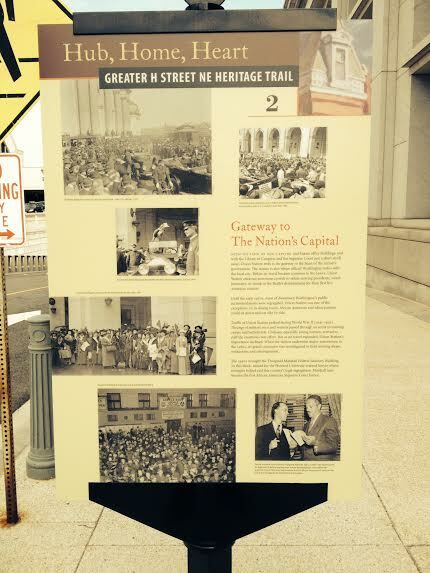 Enjoy the venue, the history, and the tea!